Check out the Tallieu Art Office newsletter in your browser. cloud piano (2014) plays the keys of a piano based on the movements and shapes of the clouds. A camera pointed at the sky captures video of the clouds. 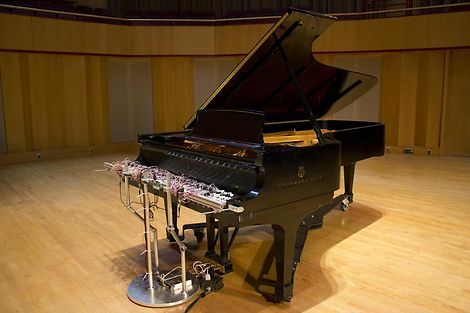 Custom software uses the video of the clouds in real-time to articulate a robotic device that presses the corresponding keys on the piano. The system is set in motion to function as if the clouds are pressing the keys on the piano as they move across the sky and change shape. The resulting sound is generated from the unique key patterns created by ethereal forms that build, sweep, fluctuate and dissipate in the sky. A Sense of Gravity premieres at STRP Festival on 30 March 2019. This immersive installation offers you the sensational bodily experience of defying gravity. 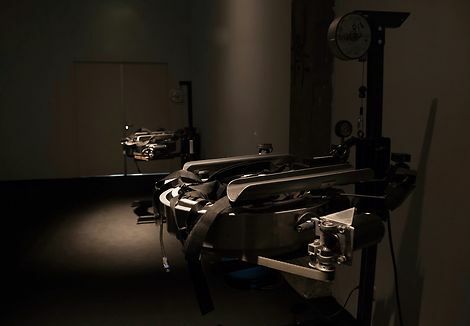 The project A Sense of Gravity started with Teun Vonk questioning: How can I challenge the logic of gravity, of the bodily perception of gravity, with a machine or installation? Can I expand the boundaries of our everyday perception of gravity? A Sense of Gravity is based on artistic research and interdisciplinary collaborations, blending the boundaries between science, technology, design and visual art. 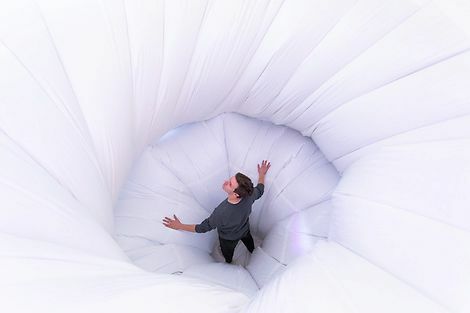 While being immersed in the installation, the viewer experiences a bodily sensation of weightlessness. This experience causes a new perspective and perception of gravity on an individual level. With a Sense of Gravity, Teun Vonk creates awareness of our human sensibility and new perspectives on the relevance of our physical being in the digital culture of the future. Compass is an orientation machine to wear around your waist. It directs you left and right while walking. It guides you through virtual corridors, rooms and doors programmed in the physical exhibition space, or any location. The apparatus imposes an attraction or repulsion on your waist, like you are in a magnetic field. You can explore this environment and discover a tactile architecture. The machine is programmed to make you follow an invisible map but you can choose between resisting to the machine or giving in and letting yourself be guided. For the solo exhibition Double Compass at TETEM, Lawrence Malstaf developed a second machine, both Compasses not only follow an invisible map, but also interact with each other. tele-present water is included in Writing the History of the Future a semi-permanent display from the collection at the ZKM Center for Art and Media, Karlsruhe (D). tele-present water - 2011 draws information from the intensity and movement of the water in a remote location. The wave intensity and frequency collected from the buoy is scaled and transferred to the mechanical grid structure, resulting in a simulation of the physical effects caused by the movement of water from this distant unknown location. 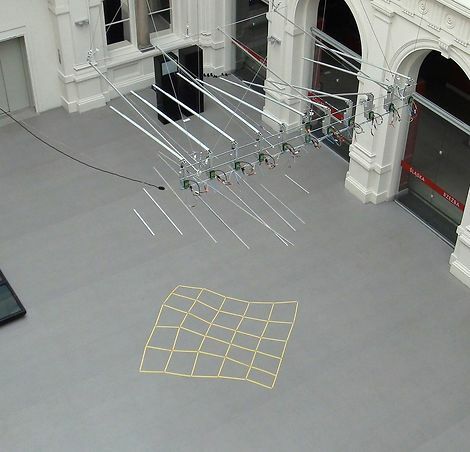 This work physically replicates a remote experience and makes observation of the activity of an isolated object, otherwise lost at sea, possible through direct communication. For centuries, composers searched the sonorous world for unknown and untouched territory. 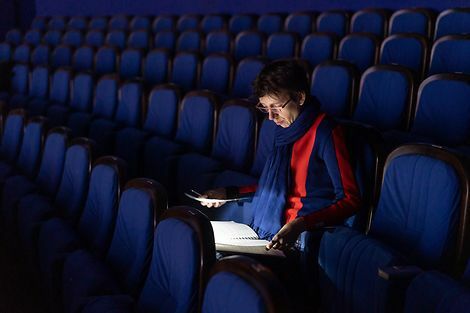 'Spectral' composers explored sound itself, examining every possible gradation of pitch and timbre: not just high and low, and long and short, but also deep, into and beyond the core... Annelies Van Parys is such a spectral composer. In this lecture-performance – together with musicologist Klaas Coulembier and the Goeyvaerts Trio – she reveals the secrets of her compositions. Click here to unsubscribe from future Tallieu Art Office news.